Looking for the perfect touch to your daughters next birthday party? 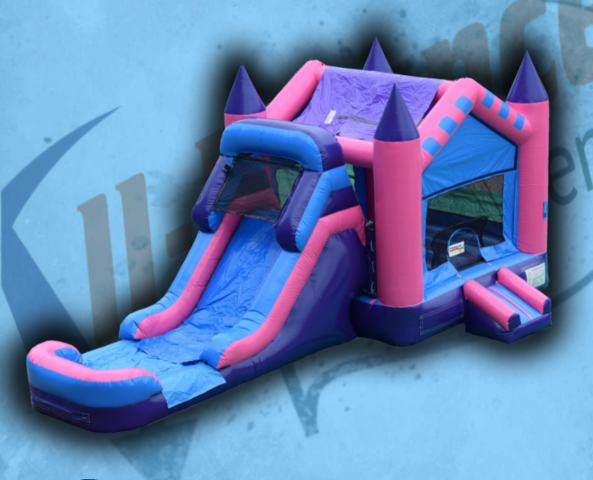 What better to rent than this very beautiful and girly bounce house and slide combo? Your daughter and all her friends will just love using this bounce house & slide featuring a large 15'x15' bounce area, wet/dry slide, climbing wall, and basketball hoop. This slide can be used wet or dry.